As the Mohawk Elder stood strong, his eyes connected directly with those in the room. His gaze was invigoratingly exhausted as if a deep spiritual lamentation were embedded in each word that he spoke. His Anglicized name is Charlie Patton, but he is traditionally known as Otsi’tsaken:ra (Speckled Flower, Bear Clan), from the Kanien’keha:ka Community of Kahnawake, Canada. Patton is a Mohawk “Faith Keeper,” or one who is committed to the “Creator.” Although he is a traditional healer, Patton spoke to the delegates of the United Nations Convention on Biological Diversity in Montreal, Quebec, as if a warrior. Patton was asked to speak to this audience to celebrate the 25th anniversary of the United Nations Biodiversity Treaty. Its aim has been to protect and conserve the variety of life on Earth, or what governments, civil society organizations, and academics refer to as biological diversity. The Mohawk Elder’s tribe refers to it as “source,” or that which gives life. As the Mohawk drumming fell silent, the delegates to the negotiations listened to Patton intently. With 196 nations participating, the convention includes representatives from nearly every nation on Earth. Its framework was first agreed during the 1992 Rio Earth Summit in Brazil and entered into force in December 1993. According to the Secretariat, which is based in Montreal, its purpose is three-fold: to conserve biological diversity, foster its sustainable use, and equitably share the benefits from the use of genetic resources. As Patton speaks to the delegates, the richest nation on Earth is absent. America isn’t a Party to the Treaty, along with the Holy See (Vatican), Andorra, Iraq, and Somalia. As the Elder speaks, America has abandoned him as it has native North Americans for over two centuries, and more recently the global community, as the Trump regime undermines America’s allies and laws, like the Endangered Species Act signed by a Republican President Richard Nixon in 1973. France, under the leadership of President Emmanuel Macron, chose a different path. 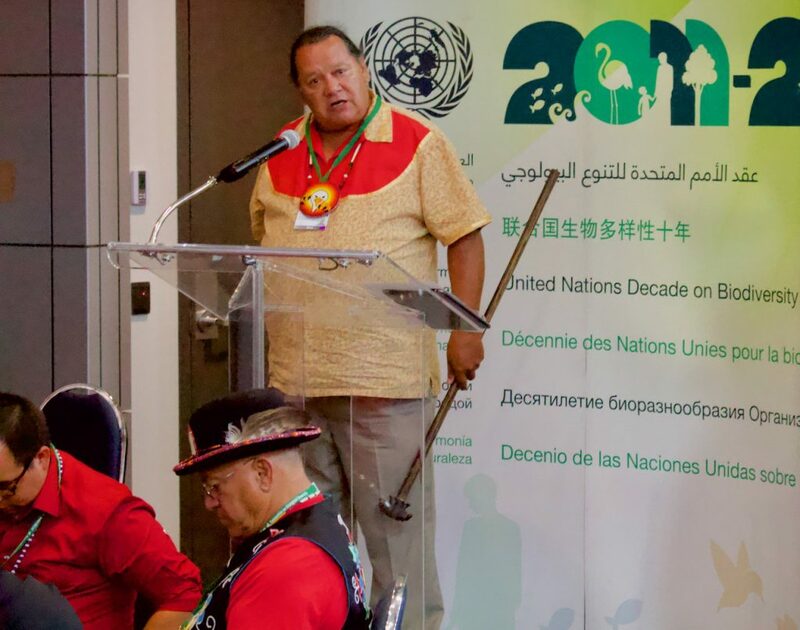 France’s leaders decided to stand strong with the Mohawk Elder and announced that they are launching a biodiversity master plan to halt species decline and the disappearance of natural habitats. These efforts are a part of France’s campaign to Make Our Planet Great Again, a sardonic response to the authoritarian Trump regime’s “America First” policies, its abdication of this treaty, the U.N. 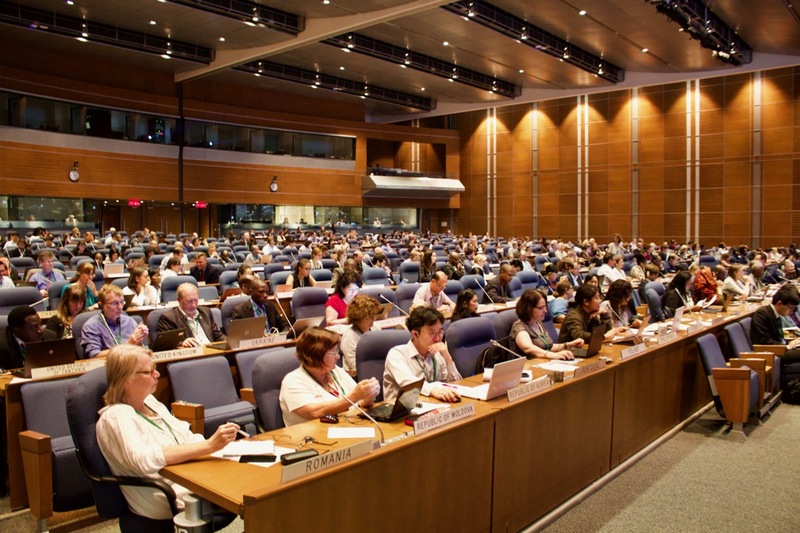 Climate Treaty, and the global community at large. France went even further and put its money where its mouth is by committing €500 million ($583 million) over four years to initiate “a global dynamic similar to the one that we [France] led on the Paris agreement on climate,” said French Prime Minister Édouard Philippe. 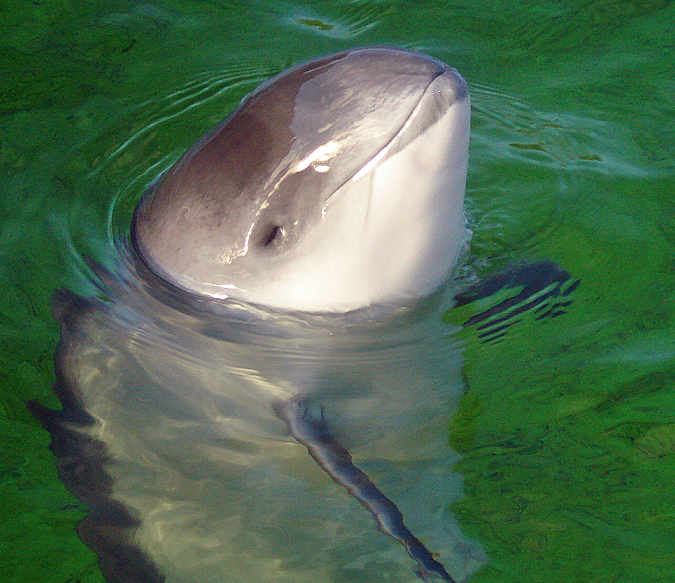 The need for this kind of leadership on the Biodiversity Treaty is clear; species habitats are quickly shrinking in size due to conversion of land and forests for human use, as animals, like the majestic Vaquita porpoise, face imminent extinction, and as our oceans become increasingly polluted with chemicals and plastic waste. Consequently, the World Economic Forum estimates that by 2050 there will be more plastic in the ocean than fish, which doesn’t bode well for a vast majority of people in developing countries who are dependent on fish as their main source of protein. The spirits of the ancients and the elders weep. 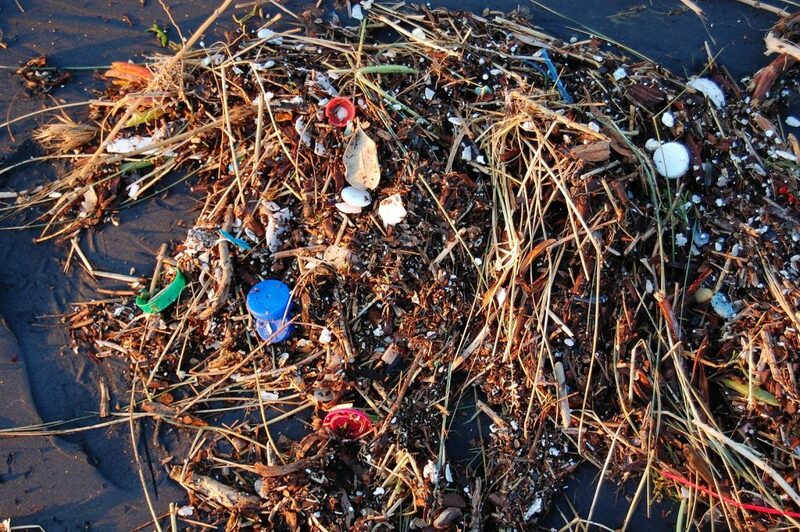 Use of plastic straws and stir sticks make up an estimated 7.5 percent of all plastics in the environment. Subsequently,France announced it would lead on this front too by banning straws and stir sticks by 2020, with the noble goal of zero plastic waste by 2025. The ancients and the elders wonder if others might do the same. As France asserted its leadership role, the delegates to the Biodiversity Treaty negotiations worked diligently to identify ways to mainstream biodiversity conservation into every major economic sector (manufacturing, forestry, fisheries, agriculture, mining, and energy) with the goal of changing national level policies, as well as corporate and consumer behavior. The ancients and the elders hope. The delegates’ goal is to incentivize sustainable production and consumption at national levels worldwide and in every major sector. However, some know that the burden of addressing environmental problems ultimately rests on the shoulders of citizens and consumers who must use their purchasing power for any significant changes to occur; here’s why. During my conversations with delegates, there was consensus that only moderate progress has been made toward achieving the existing targets to date and without the full support of citizens and consumers their efforts may fall short. Some of the delegates also made clear that any new agreement must identify and build upon previous successes. Fortunately, France’s actions, along with the Parties to the treaty, provide the momentum needed as they begin to negotiate new global biodiversity targets to be achieved by 2030. Their goal is to reach agreement on them by the time they meet in Beijing, China, in 2020. Existing and future targets covers the full spectrum of what is needed to prevent further loss of plants and animals forever, while also ensuring that we’re producing and consuming sustainably. The delegates recognize that one of the challenges of achieving the targets is the lack of power most Ministries of Environment have to affect the actions of other ministries and government agencies (e.g. Treasury, Economic, Defense). For this reason, mainstreaming biodiversity conservation at all levels of the nation-state is crucial toward achieving the goals established as the new targets are negotiated. As the Parties to the U.N. Biodiversity Treaty continue working at global and national levels, we can support their efforts by taking these five steps toward an ecological worldview, by revisiting these eight ways to ensure biodiversity on Earth, and most importantly, by voting for leaders who support protecting life on Earth. By electing leaders committed to biodiversity conservation, we can ensure that important laws, like the U.S. Endangered Species Act, remain intact and are strengthened. Finally, one very easy step is to watch this one-minute video and then contact the White House and Congress to demand that the U.S. take action by signing, and then ratifying the treaty. If any of this feels like too much, start small by simply refusing plastic straws and stir sticks. We can also help by asking our favorite establishments to start offering recycled, paper-based straws or requesting that our local restaurants and coffee shops begin using recycled, compostable wooden stir sticks over plastic.